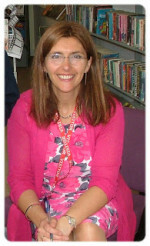 Yesterday we were so happy to welcome the lovely Sue – aka S.C. – Ransom in my school, and what a great morning it was. 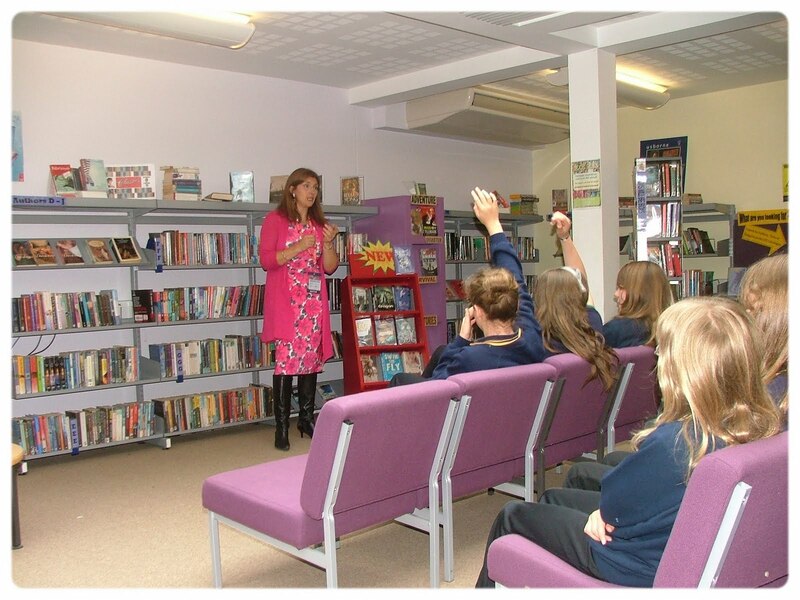 This was the second author visit I had organised at my new school since starting there in January (the first one, you might remember, was with Cat Clarke). I first “met” Sue on Twitter after reviewing her first book Small Blue Thing, which I had really enjoyed. 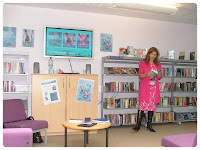 She really kindly offered to come and visit my school (and another local school) and we organised a date which would coincide with the publication of the second book, Perfectly Reflected. 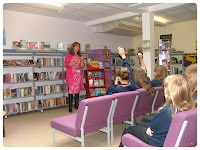 Sue was a real hit with my girls (she spoke to year 7 girls, as well as the girls from the book group). She talked about the background to writing the series and how the book eventually came about. She had even brought the original bound copy of Small Blue Thing, as well as her little notebook she wrote all her ideas on. Students are always amazed that authors are “regular” people. I think the fact that Sue never aspired to be a writer and mentioned that her secondary school English teacher would be gobsmacked at her achievement was particularly surprising to them, in a positive way. Sue then went on to talk about the PR campaign, the Facebook page, the blogs, the trailer and the oh-so-beautiful bracelet from the covers, which she had brought with her. The girls really enjoyed it and there were a lot of questions, which is always a big relief for those of us organising the visit! Sue and I had some time to catch up before she had to rush off to the next school. It was so nice to finally meet her; it almost feels a bit unreal when you meet someone you have talked to online for a while but she was as lovely as I expected her to be; I just hope she wasn’t too disappointed in how I turned out, and that she will forgive me for taking her on an old bus for a cup of coffee (we know how to live in the fast lane in Somerset!). We had a lovely chat about the series (but she just would not give anything away as to what will happen in the final volume! ), the lovely Nosy Crow, and life in general, including puppies! Thank you so much Sue for coming down to see us, I hope she enjoyed it as much as we did.